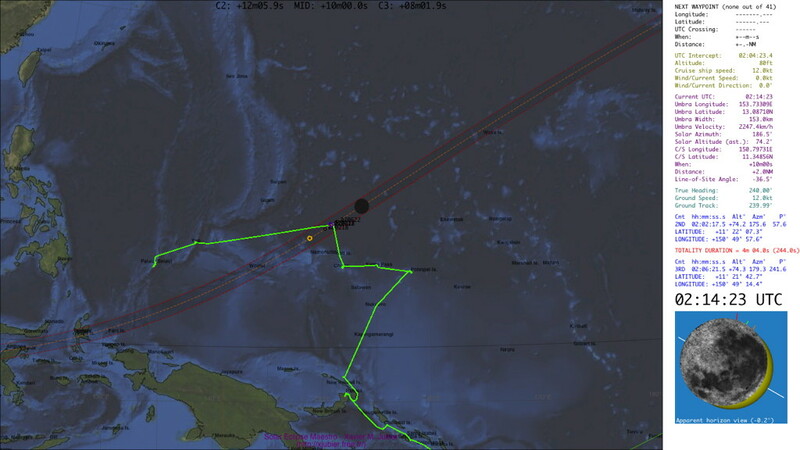 A couple of cruise ships plus a few dive boats were operating for this total solar eclipse. One advantage of being mobile is to be able to find a location from where the eclipse is visible. Cruise with an eclipse viewing in the Molucca Sea with a clear sky and flat sea on a stable ship. 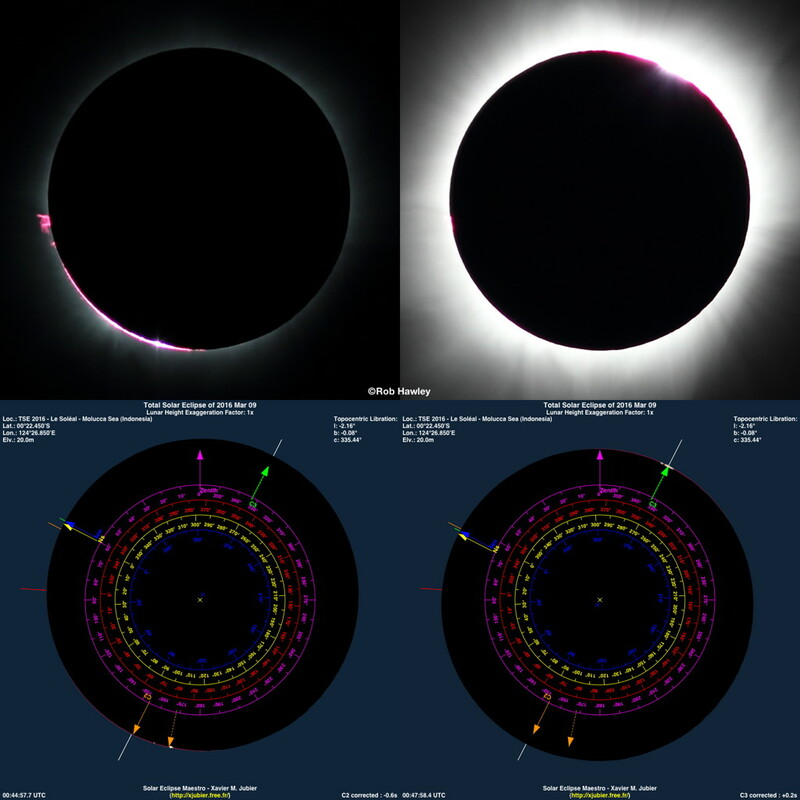 Now if we look at the Baily’s beads simulations made with my Solar Eclipse Maestro software we can compute and check the contact times by matching the taken pictures. This leads to a totality duration of about three minutes ±0.4 second, that is perfectly inline with the predictions. 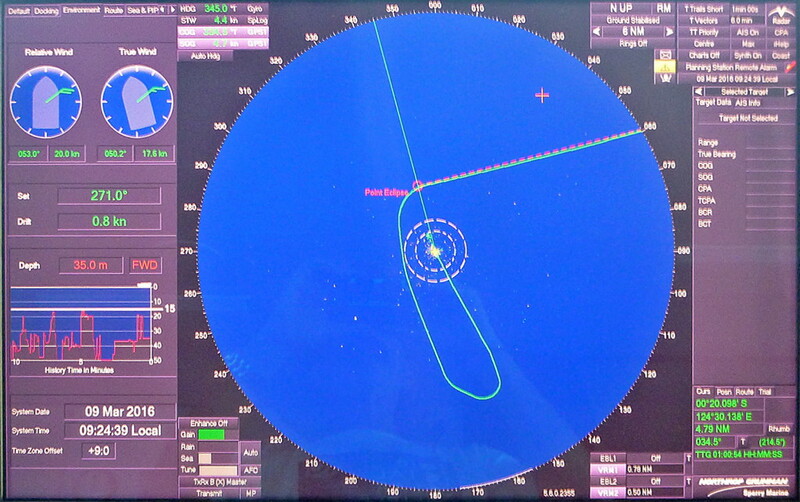 Cruise with an eclipse viewing in the Makassar Strait with a clear sky and flat sea. 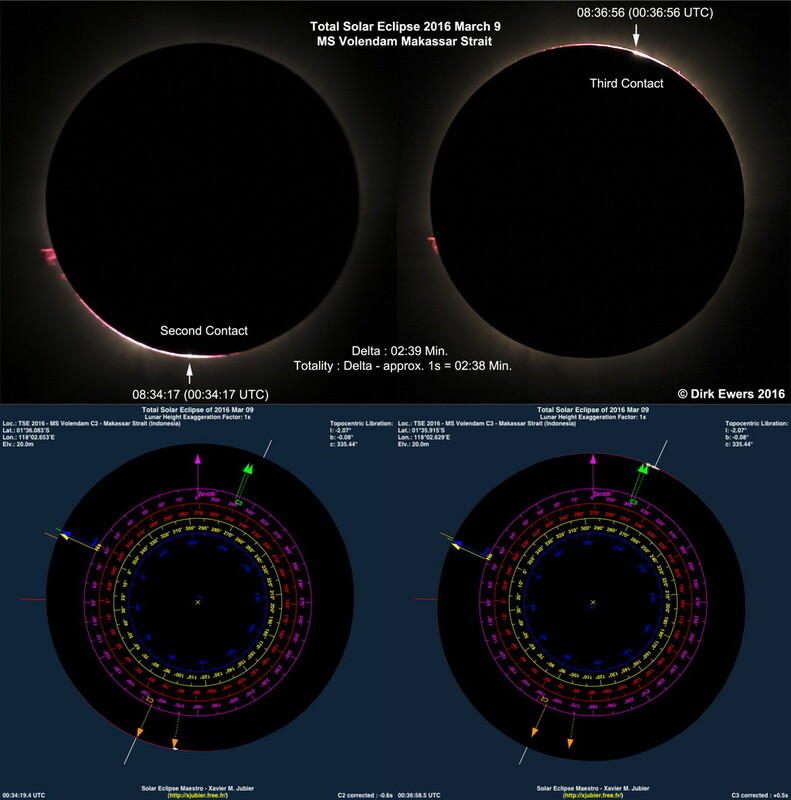 Again we can have a look at the Baily’s beads simulations made with my Solar Eclipse Maestro software and see the excellent match between the pictures and predictions. 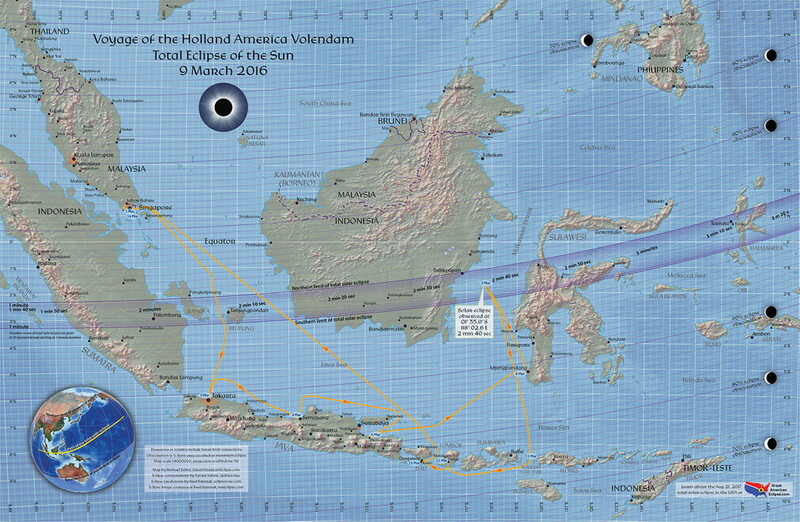 Totality lasted two minutes and thirty-eight seconds on the MS Volendam.